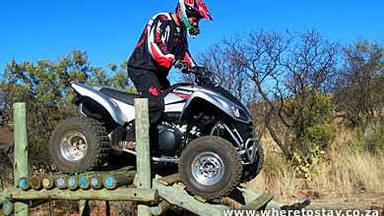 Earth Adventures offers safe and exciting quad biking at several venues around the Vredefort Dome and Gauteng. 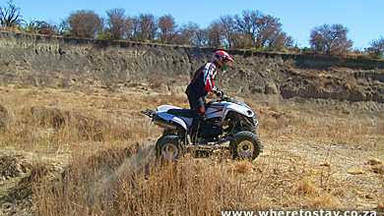 Experience the thrill and challenges of negotiating a quad bike around a cross-country trail while appreciating the breath taking scenery. No experience is necessary and adequate training will be provided by qualified staff. All excursions are accompanied by an experienced guide. At Earth Adventures we believe in safety first, tears later! 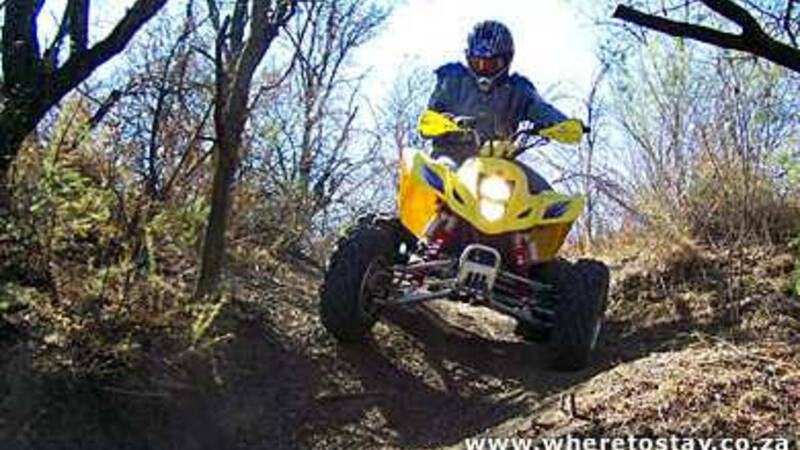 Quad biking is an ideal break away for corporate companies, families and individuals wishing to break away from the every day hustle and bustle of city life. Earth Adventures offers several venues and individuals are welcome to bring their own quad bikes or partake on one of our many excursions. 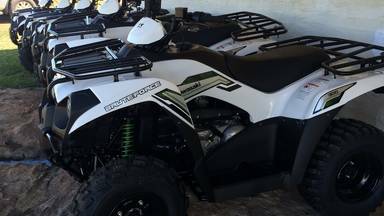 Clients wishing to bring their own quad bikes will be expected to pay the allocated access- and guide fees.